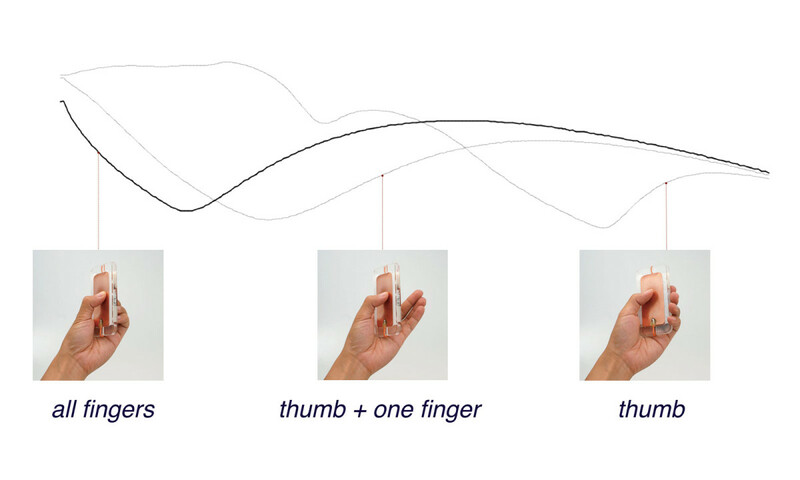 Touché is a new sensing technology designed to make the world around us richly interactive and responsive. Inexpensive and easy to implement, it can detect touch, proximity, and complex gestures on a wide variety of everyday objects, and even on the human body. Touché can also be applied to unconventional materials, such as water and living matter, to enable new and exciting applications. 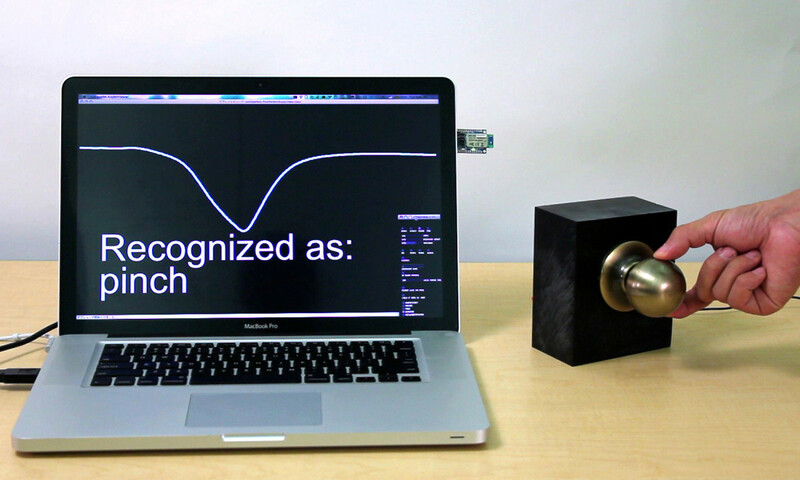 This technology uses a new approach called swept frequency capacitive sensing. 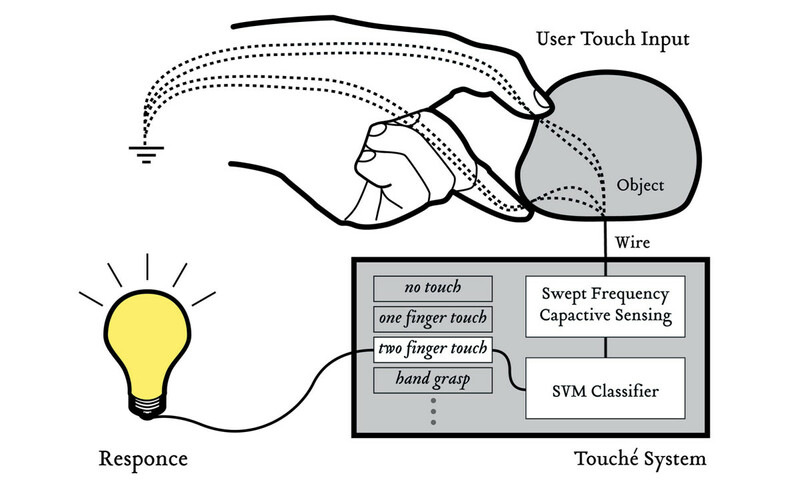 Instead of sensing capacitive touch at one frequency, Touché senses hundreds of frequencies to construct a complex and dynamic capacitive profile. This profile contains complex information about the user and the objects that they interact with. Not only can complex gestures be sensed and recognized, but also the proximity and position of the human body. Instrumentation of objects with Touché sensor is easy and inexpensive; interactions can be sensed by simply attaching a single wire to the object or user. 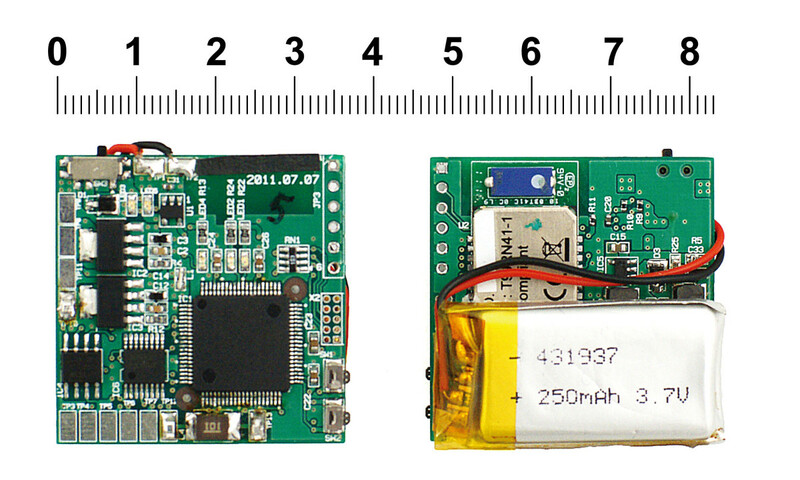 Touché uses a custom-made control board, which is compact, battery-powered and equipped with Bluetooth. 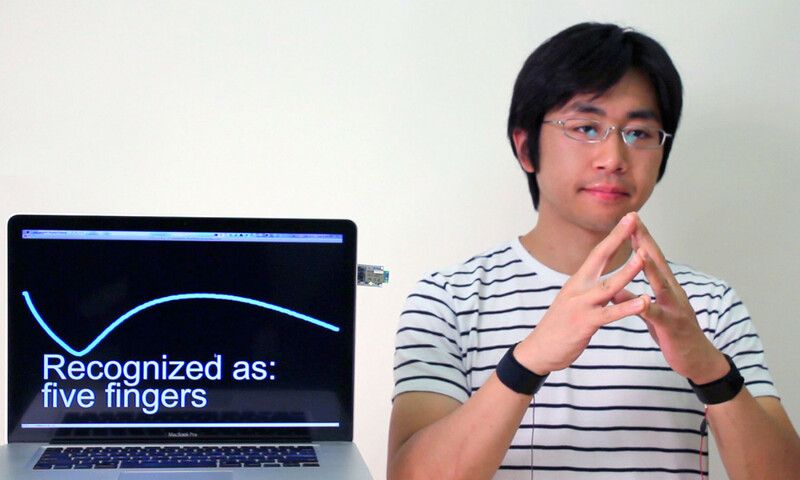 Both stationary and handheld objects could be easily augmented with a Touché sensor. Touché is fundamental, general technology that enables an endless number of novel exciting applications and interactive experiences that were difficult or even impossible before. See Botanicus Interacticus and Capacitive Fingerprinting projects for in-depth explorations of this technology in specific application areas. Sensing Human Activities with Resonant Tuning. Poupyrev, I., Yeo, Z., Griffin, J., Hudson, S.
Touché was developed in 2012 in collaboration with Munehiko Sato (University of Tokyo) and Chris Harrison (Carnegie Mellon University). Initial exploration of the basic technology and its interactive applications were developed in 2010 in collaboration with Zhiquan Yeo and Scot Hudson (Carnegie Mellon University) and Jonas Loh (Royal College of Art). 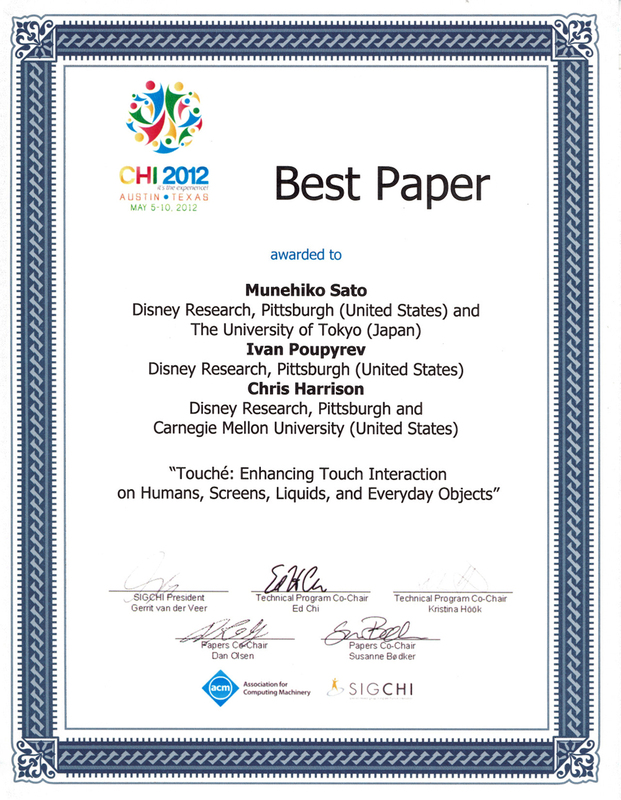 Best Paper Award at the ACM CHI 2012 Conference.